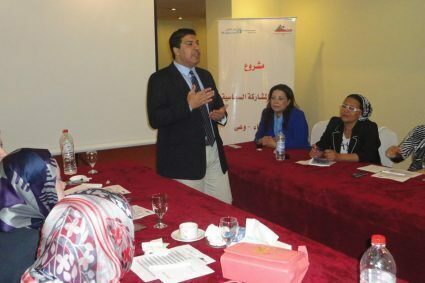 In the context of cooperation and partnership between the Association of Egyptian Female Lawyers and UN Women to implement the project of “Strengthening Political Participation for Women” (Awareness) that aims at supporting enhancement of political participation for women in eight poor areas in Egyptian governorates (Cairo – Giza – Dahaqliya – Alexandria – Bani Souif – Miniya – Qina – Aswan), and as all partners of the project believe in the importance of partnership and networking among all stakeholders concerned with women‘s interests and which aim at supporting political participation for women, it has been begun to form civil network entitled (Awareness) as one of the most important outcomes of the project. This network aims at rehabilitating, empowering and strengthening Egyptian woman to effectively participate in political life and occupy leadership and decision making positions in all state institutions. This is through building women‘s capacities, raising their awareness regarding laws and legislations and relevant social and political topics and removing all obstacles that impede real participation of women. This network includes 8 NGOs, 5 political parties and 4 vocational syndicates. 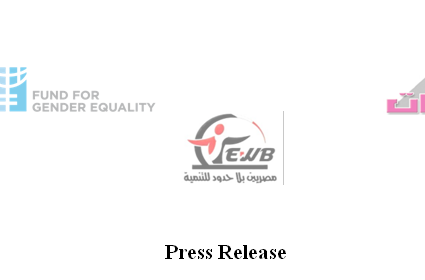 In such context, the Association of Egyptian Female Lawyers issued the launching statement of Awareness Network. The statement is written by representatives of NGOs, parties and syndicates who participate in the project‘s activities. The network was launched on Saturday 17th September 2016 in Grand Pyramids Hotel. We are representatives of NGOs, vocational syndicates and political parties in eight governorates with common desires and objectives. We agreed upon establishing civil network to build common visions about strengthening political participation for Egyptian women in the coming stage to achieve balanced real participation for women as a partner in life who should be partner in taking decisions. We are aware women of their constitutional and political rights in democratic society that supports gender equality, citizenship and social justice. 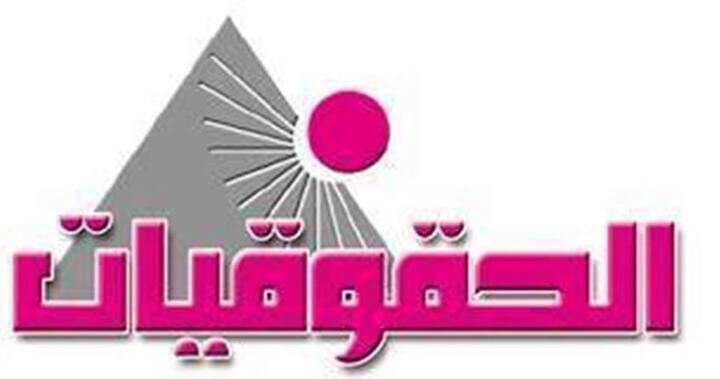 Rehabilitating, empowering and enhancing Egyptian women to effective political participation and occupying leadership and decision making positions through building their capacities and skills and raising their awareness regarding relevant laws and legislations with correcting false concepts and thoughts. Calling supports from different categories. Creating supporting society from media personnel, parliamentarians, community leaders and religious men, in addition to preparing researches and studies that influence the public opinion and lead to policies changes, then preparing law drafts in regard to the field.